It is well known that New Zealand punched above its weight when it sent 100,000 men and women overseas to serve in the First World War. Now, the meticulously researched book For King and Other Countries, published by Massey University Press this month, reveals that a further 12,000 New Zealanders fought for the British Empire under other flags. They have never been part of the count. Highly regarded military historian Professor Glyn Harper has spent many months researching and tracing the stories of the missing 12,000 — 1400 of whom lost their lives — and says that their contribution and sacrifice needs to be honoured and included in First World War statistics. The previously unaccounted for 12,000 men and women served under numerous imperial flags, including the Australian Imperial Force (AIF), British army units, the Indian army, the Canadian Expeditionary Force, the American Expeditionary Force, the South African Overseas Expeditionary Force, the French Foreign Legion, and even the Ceylon Planters Rifle Corps. What came as the biggest surprise, says Harper, is the large number of women who served. Two who stand out are the nurse Beatrice Maunder, from the Rangitikei, who ran several Belgian war hospitals; and former Folies Bergère dancer Pixie Laing, of Dunedin, who was a member of the Volunteer Aid Detachment (nurse aid) and an ambulance driver. Also among the 12,000 were four New Zealand-born AIF soldiers who were each awarded the Victoria Cross: Alfred Shout, Thomas Cooke, Percy Storkey and Lawrence Weathers. Another notable New Zealander proved to be one of the best artillery officers in the AIF and yet another was an influential war artist. From heroes and ratbags to singer and dancers, war artists and medical pioneers, Glyn Harper tells their colourful stories. Lively, accessible and academically rigorous, For King and Other Countries is another volume in the World War One Centenary History Programme series of official histories recording New Zealand’s involvement in the Great War. The text is complemented by a superb range of maps, illustrations, graphs and diagrams. ABOUT THE AUTHOR: Glyn Harper is Professor of War Studies at Massey University, where he has worked since 2001. A former teacher, Glyn joined the Australian Army in 1988 and after eight years transferred to the New Zealand Army, rising to the rank of lieutenant colonel. 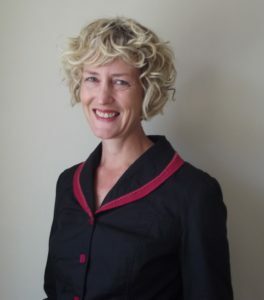 Glyn is Massey’s project manager for the Centenary History of New Zealand and the First World War. He is the author of more than 30 books on military history, including several bestsellers, and books for children. His other book published as part of the Centenary History of New Zealand and the First World War is Johnny Enzed: The New Zealand soldier in the First World War 1914–1918 (Auckland: Exisle, 2015).